This PDF 1.5 document has been generated by Microsoft® Word 2016, and has been sent on pdf-archive.com on 29/06/2016 at 15:46, from IP address 82.26.x.x. The current document download page has been viewed 317 times. File size: 280 KB (7 pages). hopefully coach your team to success. you can buy a ticket. not considered to be official. 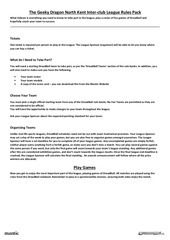 You will have the opportunity to make changes to your team throughout the league. Ask your League Sponsor about the expected painting standard for your team. 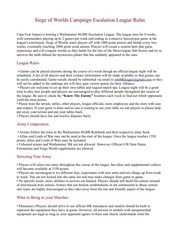 rules from the DreadBall rulebook. Remember to play in a sportsmanlike manner, ensuring both sides enjoy the match. completed the Between Matches Sequence, remember to hand in your Score Card to the League Sponsor. * Fill in the relevant results on the game result card. 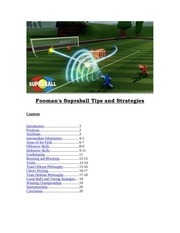 Complete the League Points and Strikes Scored sections of the score card for both teams. finished cutting players from the roster. Home game bonus: 1 dice for playing against a member of another club visiting your club. Away game bonus: 2 dice for playing against a member of another club you are visiting. 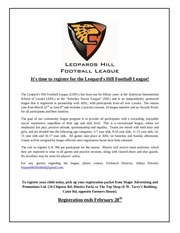 have been completed, and hand it in to the League Sponsor. Club score is tracked by the number of home and away games they play, 2 points per away game and 1 point per home game. 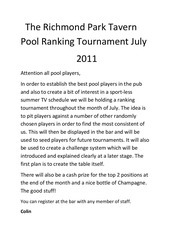 The following rules will be used to rank your team on the League Table, and determine the winners at the end of the season. possible results are listed below, along with their corresponding League Point values. for a Strike Difference of -2 strikes. Therefore their Strike Difference total changes from 7 to 5. Simply add these together to determine your Team Ranking. Note that MVPs and Free Agents do not count towards a team’s ranking. First place - £20 in Gold Coins to spend on The Geeky Dragon website, Trophy miniature, First place certificate. Second place - £15 in Gold Coins to spend on The Geeky Dragon website, Trophy miniature, second place certificate. Third place - £10 in Gold Coins to spend on The Geeky Dragon website, Trophy miniature, third place certificate. Best Painted - £15 in Gold Coins to spend on The Geeky Dragon website, Best Painted certificate. Best Sportsmanship - £15 in Gold Coins to spend on The Geeky Dragon website, Best Sportsmanship certificate. Richest Coach - £10 in Gold Coins to spend on The Geeky Dragon website. Most Kills - £10 in Gold Coins to spend on The Geeky Dragon website. number of players in the league, either district, sector or quadrant. Participation - Dreadball miniature and Art print. without interfering with their normal gaming habits. clubs with uneven league players will be assigned the sponsor as opponent if necessary. request opponents for this league game, remember no ref! Exhibition games are normal Dreadball matches. Rounds 5-7 will be a repeat of rounds 1-3, normal Dreadball matches. earn bonus league points to push up your ranking. Exhibition games are normal Dreadball matches. You are still free to roll on the Extra Coaching tables at the appropriate cost. Use of proxies for free agents is permitted. This file has been shared by a user of PDF Archive. Document ID: 00395587.